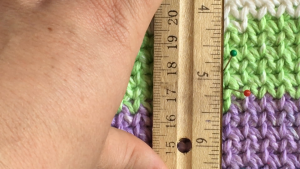 Are your crochet pieces turning out the wrong size? Did you follow instructions but your adult hat barely fits a child? 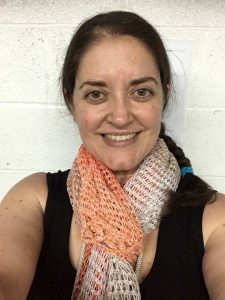 Did you write a pattern for size small and now your customer wants size large? You need to measure your gauge!!! But how do we measure gauge correctly? Why does it matter? If you’re looking to have your pattern tech edited to have additional sizes, please review the services I can provide crochet designers. In this video, I have laid out the steps you need to take to accurately measure gauge AND what to do if your first count doesn’t exactly match up. I will warn you, this video is lengthy and aimed more at designers than average stitchers. However, the main points about how to measure gauge apply to everyone. For the stitcher, I’m not addressing how to ‘fix’ your gauge. You will need to play around with different hooks or your tension if you’re trying to match your designer. 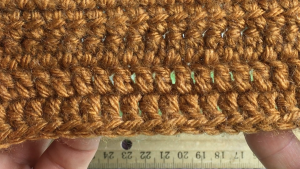 Make a swatch in the dominant stitch of the pattern. Commonly this can be a solid swatch of sc, hdc, or dc. Or if you have a pattern stitch, you may make a swatch in the pattern. This can be anything, so long as it is consistent and measurable from beginning to beginning, and by row. If your piece is mostly lace, I would advise choosing one of the simple stitches, unless you can make a measurable swatch in the lace pattern. Make a swatch larger than you intend to measure. 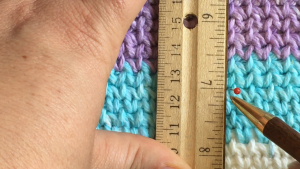 You’re going to report or measure a 4 inch (or 10 cm) gauge, but you need to stitch a swatch that is larger, by at least 2 inches, than the area you intend to measure. Edges of the fabric do not measure the same as the interior of the fabric. You also don’t know if you will need to measure more than 4 inches, so you need to give yourself a good sized buffer for extra measurement. Treat the swatch the way the final piece will be treated. If you’re going to block the garment, then block your swatch. The only time a tech editor will need a pre-blocked gauge is if the piece is altered between the time it is initially stitched and when the final piece is finished. If there is any surface stitching or any other type of construction that alters the fabric in size from the time it is initially stitched, then measure gauge before blocking. Measure again after blocking, after all alterations have been made. Fully label all these measurements when sending them to your tech editor. Use a straight ruler and straight pins to help measure. Measuring tapes can stretch out over time, try to use a firm ruler. Straight pins assist in marking the exact point in your stitch where you are measuring and helps to narrow down the exact point that needs to match up to the markings on your ruler. Measure from beginning to beginning, not beginning to end. There are naturally spaces between our stitches, we need to include the space in our measurements. This photo shows the space between double crochet stitches. If we measured from beginning of one stitch to the end of another, we would miss that space. If necessary, measure MORE, not less. 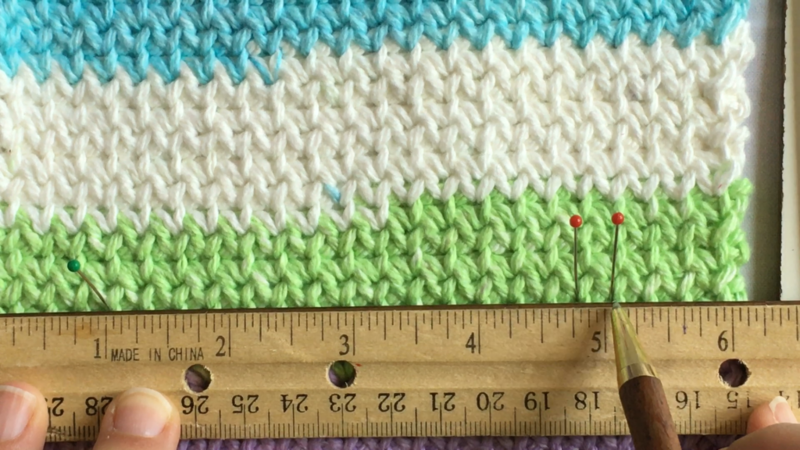 If your final stitch at the end of 4 inches doesn’t match exactly on your 4 inch mark, then measure more until the final stitch does match a mark on your ruler exactly. Compare this picture to the previous picture showing a single pin at the 7 inch mark. I measured 4 inches from the 1 to 5 inch markings. But at the 5 inch mark, the rows did not fall exactly at my mark on the ruler. When I counted up to the 7 inch mark, the rows matched the ruler. 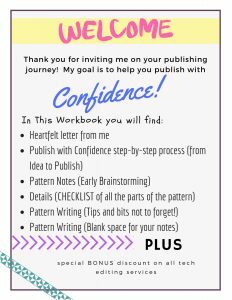 When you are submitting a pattern to your tech editor, especially for sizing purposes, please provide more information rather than less. Err on the side of caution and give the tech editor all the exact numbers that you measured, even if it’s not the proper way that it would be reported on the final pattern. Reporting improper gauge, or “guesstimating” the numbers can result in vastly inaccurate patterns being stitched by your customers. No one wants that. Your tech editor has to rely on the numbers, so please make the extra effort to make sure you’re sending the proper numbers along with your pattern. For any questions, or if you’d like more detail about measuring, be sure to contact me. If you made it to the end, here’s a little bonus, just for fun.